There are many different reasons for belt off-tracking in conveyor belt systems. This problem often results in complete shutdown of the plant or damage to the conveyor belt and other component parts. 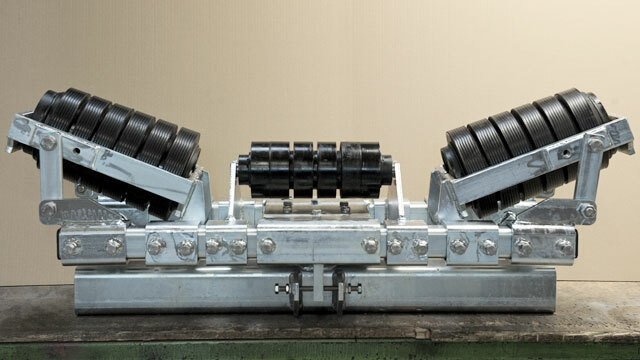 HOSCH offers a wide range of tracker roller systems for all belt widths and belt speeds of up to 6 m/s, for the return belt as well as for the troughed carrying side of the conveyor belt. We can work with you to get rid of this annoying and expensive problem forever! If you are interested, please download additional documents or contact us.